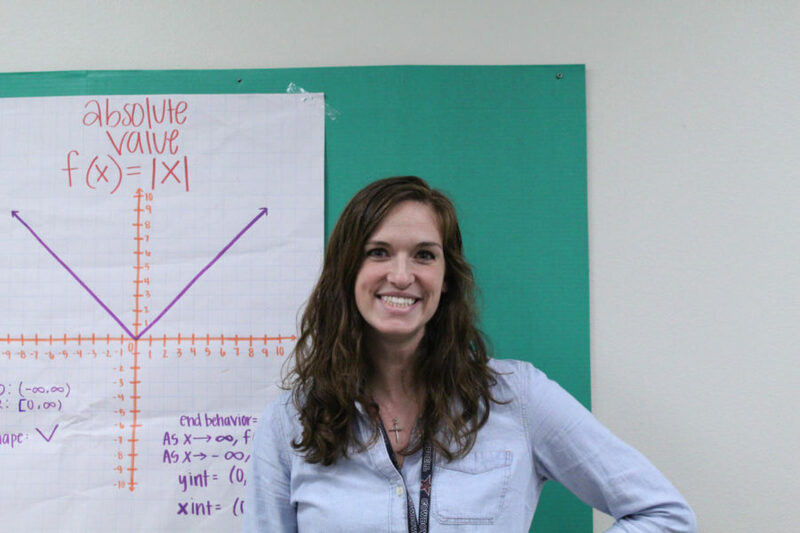 Coppell High School Algebra II teacher Krissy Baker began teaching at CHS after Thanksgiving Break. Baker previously taught Pre-Calculus at Richardson High School before transferring. After a series of temporary teachers, six honors Algebra II classes finally have one to stay: Krissy Baker. At Richardson High School, Baker taught Pre-Calculus, which allows her familiarity with its prerequisite, Algebra II. Why did you become a math teacher? I knew I always wanted to teach, from the time I was a little kid. As I got older, math was one of those things I really enjoyed and something that I really understood. It just became something that I was helping my friends with naturally. So I went to the University of Texas at Dallas, majored in math and realized that I wanted to be a teacher still; math was just the right place for me. I got my first job teaching Algebra I and Geometry, and I loved it. 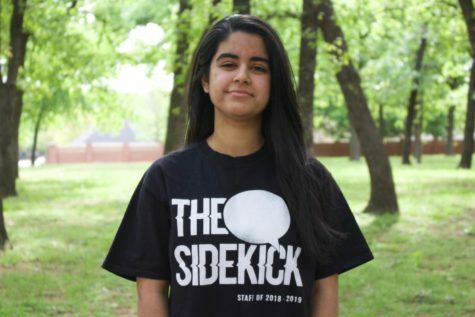 What are some difficulties you’ve experienced in picking up a class halfway through the school year? Learning names, that’s a tough one. It’s hard to establish your patterns, your rules and your routines when they’ve already been adjusted to multiple different systems and organization methods. It’s hard to come in and be like “this is how we’re doing things”. But [now] everyone’s starting to get on the same page. How have you been treated by the faculty and math department? Everyone’s been incredibly helpful, from answering my thousands of questions, to helping me understand “hey, this is what they’ve already done, this is what they’re going to struggle with”. Helping me figure out what to do in class, helping me grade when I wasn’t even here yet, they’ve been awesome. Really good group of teachers. What is your approach to teaching math? To get as much practice as you can, because math is one of those things where you have to do it to get really good at it. But it’s really important that you’re able to ask questions. That is my biggest thing, to ask questions when you need it, so that you can understand why you’re doing everything. What I really like about teaching math is, math is this big trick, where you think you’re learning all these little patterns and formulas and really what you’re learning when you learn math, is problem-solving. And that’s what I want to teach. What opportunities does math provide to students? Problem-solving skills and logic. The more you do [math], it just helps you become a better thinker, in general. Yes, there are thousands of applications of math in the real world, but if you’re going to go teach elementary school, you’re probably not going to be solving rational functions on a day-to-day basis. But the skills that you’re learning in your math class- the higher you go, the better your problem-solving skills are getting, and no matter where you go, you’re going to be doing critical thinking, you’re going to be problem-solving, you’re going to need that logic. How have your teachers impacted your own teaching? The biggest one was my physics teacher in high school. Ironically, most of my teachers told me not to be a teacher, not because they didn’t think that I would enjoy it, but because I had really good math and science skills. They said, “you should be a doctor, you should be an engineer so you can make lots of money.”Except for my physics teacher. He was the only one who said, “That’s awesome. You should do it.” He was one of the teachers that was doing what he was doing because he loved it, and he made you love the class even if you didn’t love the content. But I think that encouraged me to go in education for the right reasons. Actually, the one thing he did tell me was, “you have to promise me you’ll get a master’s degree.” I did my master’s in curriculum at the University of Texas at Austin, on the education side. What are some things you enjoy doing outside of the classroom? I enjoy spending time with my family. I have a one and a half year-old son named Judah, so I spend every chance I get with him and my husband, Jonny. We are pretty involved in our church so that takes up a lot of our time, and we’re just pretty active people in general. My husband and I both love sports. The kids in my class[es] are awesome so far. I hope it continues to be awesome. I’m just happy to be here.